SANTA BARBARA, Calif. (AP) - Two people were shot and a third was assaulted Monday night in an attack near the University of California, Santa Barbara, in the same neighborhood where a man staged a killing rampage last year. Three men in their early 20s were taken to a hospital with moderate injuries after county sheriff's deputies and campus police answered a domestic disturbance call outside a home in Isla Vista, according to fire and sheriff's officials. "One of the injured is believed to be a suspect," a Sheriff's Office statement said. A university statement circulated among students said it was not clear whether the men were students. Another man fled in a white sedan, prompting a lockdown and search of the campus that ended after about two hours. The confrontation shortly before 7:15 a.m. occurred in the 6500-block of Sabado Tarde, a street of small apartments a block or two from campus. 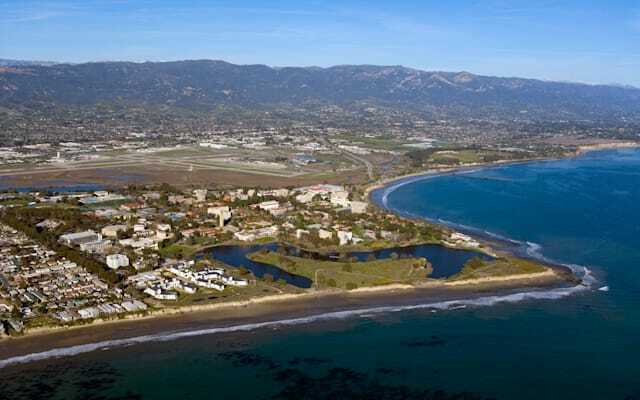 The Isla Vista area is home to thousands of UCSB students. On May 23, 2014, Isla Vista was also was the site of a deadly stabbing- and shooting spree. Elliot Rodger, 22, killed six UCSB students and wounded 14 other people before killing himself. Rodger, who wasn't a student or alumnus, had posted a manifesto and a series of online videos voicing contempt for everyone from his roommates to the human race but reserving special hate for two groups: the women he says kept him a virgin and the men they chose instead. In one video, he said: "I'll take great pleasure in slaughtering all of you."